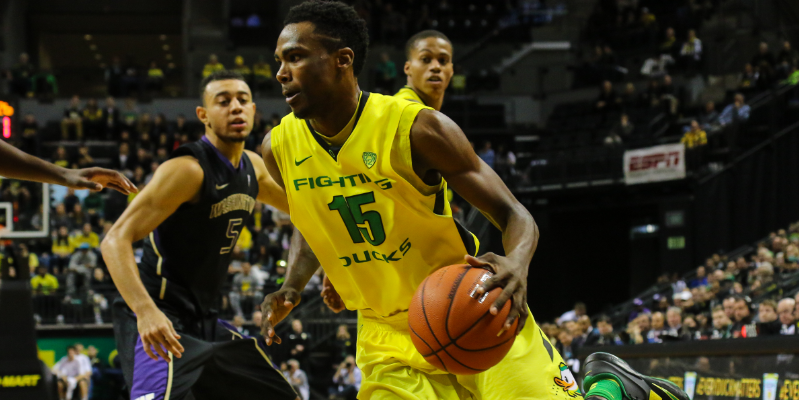 On Senior Night Sunday, two Duck starters bid farewell to Matthew Knight Arena, though they hope they won’t be finished with Oregon basketball for a few weeks yet. Neither is over 200 lbs or taller than a modest 6’4″ but both leave giant-sized footprints on Kilkenny Floor. Wait, come back! Can’t you stay one more year? Point Guard Joseph Young is one of only two significant contributors left over from last year’s NCAA tournament round of 32 team and has carried the bulk of Oregon’s scoring responsibility this year, just as he did then. Though he made the transition to point this year, a position most notably responsible for facilitating scoring for others, Young still leads the Pac-12 in field goals, field goal percentage, points and points per game. He’s shooting 45 percent from the floor and a league leading 93 percent from the stripe. While he’s only good for a still respectable 36 percent from three-point range, the kid has sunk 70 downtown buckets this year and is leading the conference in that also. Young is both field general and shock cavalry, spark and flame, fire and ice. He creates for himself and others, spreading the floor in the half-court and electrifying it in his lightning quick transition game, red-hot in the open court and ice cold at the line. Forward Jordan Bell. 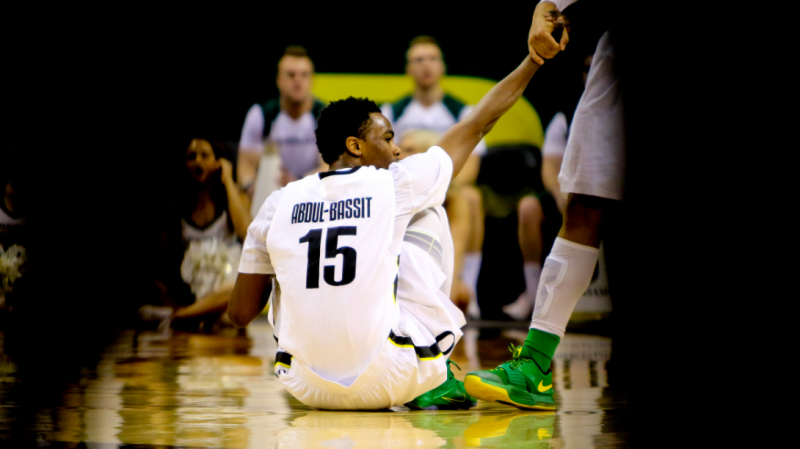 Part Duex of the dead-eye Duck duo that has lit up Matthew Knight Arena with a second in conference 74.1 points per game, only 8/10’s of a point behind league leading Arizona, Abdul-Bassit is a defensive grinder, a down-and-dirty workhorse whose energy stays high game in and game out, but he is also capable of providing the kind of white-hot shooting that can pull the Ducks out of their deepest slumps. Both seniors will be sorely missed when all this is finally over. Both will be as deeply grieved as the soapy sheen of our NCAA bubble itself, should it ultimately be popped. Until then, let’s just enjoy the show.